A campaign aimed at reducing the number of fires started deliberately is paying off says Shropshire Fire & Rescue Service. So far this year 180 deliberate fires have been recorded in Shropshire compared with 199 for the same period last year and the fire service’s prevention team (arson) believe the reduction is largely due to the fire safety campaigns and education initiatives it has run in schools throughout the year. “The latest figures are a strong indication that our campaigns, particularly the work we do in schools and through the multi-agency Crucial Crew safety education roadshows, is having a direct and positive effect and that is very good news indeed,” said Derek Taylor, a member of Shropshire Fire & Rescue Service’s Prevention (Arson) team. “We have worked closely with schools and our colleagues in the police, housing providers, local authorities and many other partners to deliver fire safety and arson prevention initiatives and these campaigns are definitely making a positive difference. 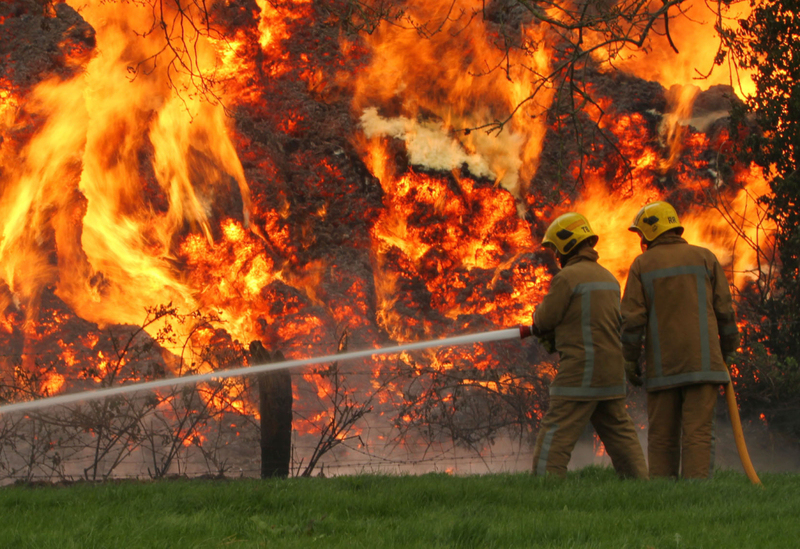 “Arson is an issue for every fire service in the country and it is not going to go away. In Shropshire we will continue to devise and deliver innovative campaigns and initiatives and to look for new ways of getting our arson prevention message across,” Derek Taylor added. The fire service is also asking the public to take special care when it comes to disposing of empty glass bottles and cigarettes. A recent grass fire on Lilleshall Hill is believed to have been caused by a broken bottle reflecting the sun’s rays onto tinder-dry grass.